When A&E unexpectedly cancelled the wildly popular series Longmire because the viewers were “too old” and weren’t bringing in enough ad revenue – fans of the show rallied behind it and began launching a nationwide protest. CDL and GLOBE Magazine helped Longmire fans get signatures on petitions and bring awareness to the ridiculous cancellation. After everyone’s hard work news broke that Netflix had caught wind of the Longmire cancellation and had picked up the show from A&E – and would be airing Season 4 on their steaming service. Now, we have great news for Longmire fans! The official Season 4 promo and spoiler video from Netflix has finally been released, and it is better than we even imagined. The Longmire spoiler video opens with some narrative teasing, “Sometimes a man gets a second chance. It’s not that you come back; it’s how you come back that matters.” The quote really has a double meaning, they could be referring to the shocking cliff-hanger that we left off with on Season 3. Or, they could be referring to Longmire as a whole – the TV show has gotten a second chance and is “coming back” on Netflix. 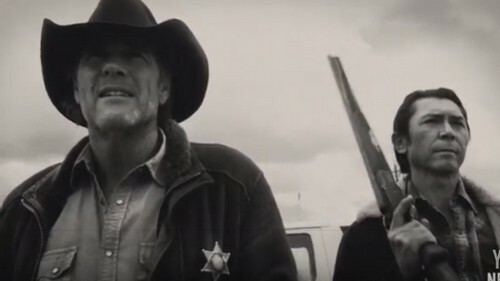 The all new Longmire Season 4 spoiler video features all of our favorite cast members, and it looks like fans of the show can breathe a sigh of relief and Netflix is sticking to the storylines and staying true to the series. All of our favorite cast members appear to be back, including Vic (Katee Sackhoff) and Walt (Robert Taylor). According to Longmire spoilers, Season 4 will premiere on Netflix on Thursday September 10. So, if you don’t have a Netflix subscription, you better sign up ASAP so you don’t miss the all new episodes. 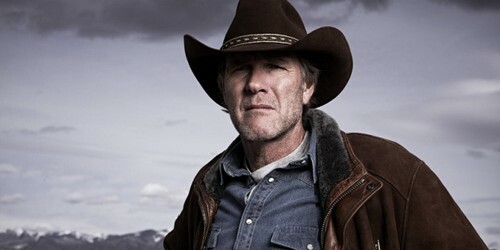 Are you a fan of Longmire? Are you as excited as we are for Season 4 on Netflix? Check out the spoiler video below and let us know what you think in the comment section! The Bachelor 2015 Spoilers Chris Soules Picks [Spoiler] Final Rose Winner: Who Is His Fiancee – Engaged to be Married! The Bachelorette 2015 Divorce Shocker: Kaitlyn Bristowe’s Contestant Corey Stansell Married and Divorced – Secret Wedding! Who Won The Bachelorette 2015: Winner Engaged to Kaitlyn Bristowe – Reality Steve Wrong – Nick Viall or Shawn Booth Fiance? The Bachelorette 2015 Spoilers Episode 7: Kaitlyn Bristowe Sends JJ Lane Home During Date – Final Three Revealed!